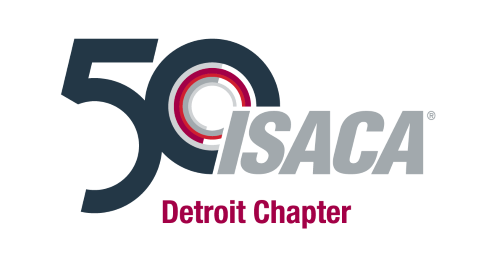 The Detroit Chapter of ISACA is happy to announce the upcoming Spring Seminar covering the topic: Managing and Auditing Cybersecurity - Data, Infrastructure and Applications. This two-day seminar will be held on May 6 and 7 (Monday and Tuesday) at the Michigan State University Management Education Center, 811 W. Square Lake Road in Troy, MI 48098. Class will begin each day at 8:30 A.M. and will conclude around 5:00 P.M. A light breakfast and lunch will be served each day. The seminar instructor, Mitch Levine of Audit Serve Inc., has an established track record of taking complex industry requirements and structuring them within an education program that breaks the topic into easy to understand approaches based on his “real life” audit and systems deployment experiences. CPE for the session will total 15 hours and certificates will be sent to the attendees via email. For those attending, the cost of the seminar will be $100 for an ISACA professional member or an ISACA student member, and $275* for a non-ISACA professional member or $125* for a non-ISACA student. To attend you must pre-register since walk-ins will not be accepted. So mark your calendar for this important date and take advantage of one of the unique opportunities associated with being a member of ISACA. *The non-member fee includes one full year of ISACA International and ISACA Detroit chapter membership.